Is Apple building a virtual reality headset? Or perhaps a pair of augmented reality smart glasses? Whatever your theories on Apple VR or AR, we’ve rounded up the latest news and rumours to sate your appetite. (Update: 3 April 2017): Apple is reportedly stepping up its efforts in the augmented reality space, although a launch is still “at least a year away”, according to the latest news. Read on to find out more. There’s no shortage of speculation about Apple’s supposed ambitions in the VR and AR space. Even Apple has admitted that the sector is “interesting” and that it’s investing heavily in such technology. The bad news is Apple hasn’t actually confirmed what its long-term plans are for these two emerging technologies. While rivals like Google (Cardboard), Microsoft (HoloLens), Samsung (Gear VR), Facebook (Oculus Rift), Sony (PSVR), LG (360 VR), and HTC (Vive) steam ahead with their VR/AR products, Apple appears to be twiddling its thumbs – publicly, anyway. That said, we’re convinced that Apple is working on something pretty big; we just don’t know what it is yet. Read on for all the latest news about whatever Apple is cooking up over in Cupertino, California. What’s the official word from Apple? What VR and AR patents does Apple have? Which AR and VR companies has Apple acquired? Who has Apple hired to work on AR and VR? On January 29, 2016, the Financial Times published a report describing how Apple had built a large team that was experimenting with a virtual reality headset. This “secret research unit” was reportedly exploring both AR and VR, and had even created prototype headsets that are said to have been inspired by the Oculus Rift. On February 8, 2016, AppleInsider published details of a note written by analyst Gene Munster (who we mentioned earlier), who believes that Apple “plans to pivot on iOS in a bid for the mixed reality space within the next two years”. Munster’s searches on LinkedIn reportedly revealed “at least 141 Apple employees with a background in AR”. For perspective, that’s compared to 425 people with similar experience at Microsoft, and 267 at Google. Both of those Apple rivals are already well invested in the AR space. On January 9, 2017, blogger Robert Scoble claimed that Apple had teamed up with Germany’s Carl Zeiss AG to create a pair of augmented reality smart glasses. 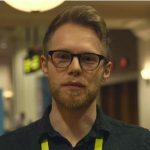 Sociable says that a Carl Zeiss employee revealed the news to him during a conversation at CES 2017 in Las Vegas. Importantly, Scoble seems to be under the impression that the product will launch in 2017, although it’s impossible to verify whether he’s right or not just yet. On March 28, 2017, the Financial Times reported that Apple is stepping up its AR eyewear game, citing “people with knowledge of its efforts”. According to the sources, any launch “is still at least a year away, perhaps much longer”, and that there’s a dedicated team for the project. Apple VR and AR: What’s the official word from Apple? Unlike many of Apple’s secret projects, the company hasn’t been shy about AR and VR. We’ve seen Apple CEO Tim Cook speak publicly about his thoughts on both augmented reality and virtual reality a number of times. “I regard it as a big idea like the smartphone. The smartphone is for everyone, we don’t have to think the iPhone is about a certain demographic, or country or vertical market: it’s for everyone. I think AR is that big, it’s huge. I get excited because of the things that could be done that could improve a lot of lives. And be entertaining. Apple VR and AR patents: What work has Apple done so far? One of the surest ways to learn what Apple’s vision for the future looks like is by examining the company’s patent filings. When Apple files a patent application, it means it wants to own that innovation for the future. That doesn’t necessarily mean we’ll ever see the technology released, but it’s a guarantee that someone, somewhere at Apple thought something was a good enough idea to try to prevent rival firms from doing it too. In February 2015, the US Patent and Trademark Office granted Apple a patent titled “Head-Mounted Display Apparatus for Retaining a Portable Electronic Device with Display”. The accompanying images depict what looks like a standard phone-docking VR headset that you’d see today – think Samsung’s Gear VR or Google Cardboard. But what’s interesting is that Apple first filed for the patent way back in September 2008, suggesting that Cupertino has had its eye on VR for quite some time. On January 31, 2017, Apple was granted two patents that describe a mobile AR system that can recognise its surroundings and relay virtual information to users, all in real time. The patents were originally filed by AR startup Metaio, but Apple acquired that company in 2015 – more on that later. Apple envisions the system as utilising a wearable camera that then beams information about objects to a head-mounted display or smartphone. It would sort of be like a video game HUD, but in real life. Apple VR and AR acquisitions: How is Apple spending its money? Apple is no stranger to acquisitions, which is good news for anyone hoping to get an idea of the company’s plans. We’ve seen Apple purchase a number of AR and VR-relevant startups in recent years, giving us vital clues about what may be going on behind closed doors. In September 2010, Swedish media reported that Apple had acquired local facial recognition startup Polar Rose. The 15-person company reportedly sold for somewhere between $22-29 million USD. In AR and VR, this sort of tech would be useful for mapping faces – imagine a HUD that gives you information about someone you’re looking at, for instance. In November 2013, Apple revealed that it had bought PrimeSense, an Israel-based company that develops 3D sensor technology. The acquisition was valued at between $300-360 million USD. PrimeSense is probably best known for its sensor tech contributions to Microsoft’s Kinect camera. Importantly, 3D sensor technology is very useful for (1) depth-sensing, allowing CGI to be overlaid onto the real-world, and (2) for mapping gestures, which can be used as an input control method for AR and VR. In November 2015, Apple confirmed to TechCrunch it had acquired a Zurich-based startup called Faceshift. The company uses facial recognition technology to create animated avatars, and had even supplied tech for Star Wars: The Force Awakens. This acquisition sparked rumours that Apple planned to use the facial mapping technology for AR. In January 2016, the Wall Street Journal reported that Apple had bought up a company called Emotient. Like some of Apple’s other acquisitions, Emotient worked on facial recognition. Specifically, the startup focused on developing artificial intelligences to read facial expressions, in an effort to gauge emotion. In January 2016, the Financial Times reported that Apple had acquired an AR startup called Flyby Media. This company developed tech that allowed smartphones to “see” the world, and had created the first app that used Google’s “Project Tango” 3D imaging technology. The app let phones scan items in the real world, and then save the item and share it with friends. In February 2017, the Times of Israel claimed that Apple had bought up yet another facial recognition company. This time the startup in question was RealFace, a Tel Aviv-based company founded back in 2014. The acquisition was reportedly valued at $2 million. So what did RealFace do? Well the company’s website is now offline, but promotional materials suggest that it had been working on integrating AI into facial recognition for speedier face-based learning. Apple VR and AR team: Who has Apple hired for the job? Just like the Apple Car, Apple’s VR and AR ambitions have been somewhat exposed by the company’s hiring record. In July 2015, Apple poached Nick Thompson from Microsoft’s HoloLens team to work as an Engineering Manager. While at Microsoft, Thompson was the lead engineer on principal audio hardware for the HoloLens AR headset, helping develop its spatial sound. He also worked on audio software at Dolby, as well as having a number of prior employment stints at Apple in various roles. In August 2015, Chang Yuan joined Apple as a Senior Research Manager within the “Special Project Group”, as discovered by TrustedReviews for this report. Yuan is working on developing computing vision for a “world-changing initiative” and, importantly, has experience developing 3D imaging and facial recognition (both vital for AR) at companies like Lenovo, Amazon, and Sharp. In January 2016, the Financial Times reported that Apple had hired Doug Bowman, a leading virtual reality expert in the USA. In June 2016, Yury Petrov joined Apple as a Research Scientist after having spent two-and-a-half years working at Facebook’s Oculus VR (of Oculus Rift fame) in a similar role. At Oculus, Petrov studied the visual and multi sensory experience of VR, and helped develop “novel optical systems” for VR headsets. He also worked on new types of VR controllers, creating prototypes for “significantly increasing user enjoyment of VR”. In the summer of 2016, Apple put out a job listing for the role of ‘Game Technologies Editor’, a position that was to be part of the firm’s Interactive Media Group. Included in the job description was the requirement that the candidate was “comfortable with AR and VR concepts”. On September 15, 2016, Business Insider reported that Zeyu Li had joined Apple as a Senior Computer Vision Algorithm Engineer. Zeyu Li had previously spent a year at prominent AR firm Magic Leap, which counts Google and Alibaba amongst its investors, where he worked on “cool stuff” – real specific, eh? Conclusion: Is Apple really building an AR or VR headset? Apple plays its cards close to its chest, so there’s no way we can know for absolute certain that we’ll ever see the company launch a virtual reality headset or AR goggles. But we do know that Apple is very interested in the technology. That shouldn’t be surprising; analysts at IDC predict that the total revenue from VR and AR is expected to rise from $5.2 billion in 2016 to a value of beyond $162 billion in 2020. Apple will almost certainly want a piece of that pie. Aside from the fact Tim Cook has already admitted investing in AR, the abundance of job hires, patents, and rumours makes it clear that Apple is rightfully committed to developing VR and AR tech. At this stage, we’re not convinced we’ll see an iHeadset any time soon, but Apple is running out of time to publicly showcase its AR and VR efforts, before it risks falling behind key rivals. Do you think Apple should release a virtual reality headset? Let us know in the comments.